On saturday mum was already asking me what we should eat for lunch the next day- I guess this foodie-gene runs in the family! After thinking for awhile, I decided on pasta. I didn’t want regular pasta, I want handmade pasta. Initially Cugini was on the agenda, but mum wasn’t enthusiastic about travelling so far so we decided to go back to a tried and tested restaurant near our house: Trattoria L’Ancora. 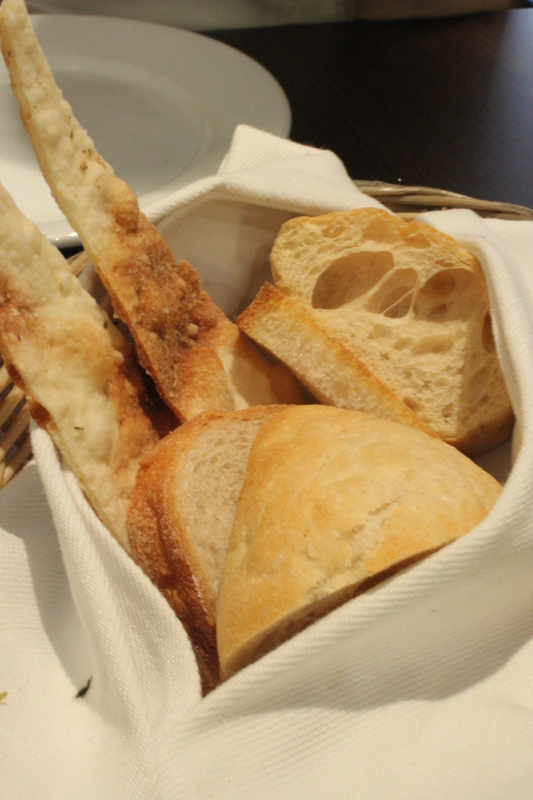 Complimentary bread eased the violent hunger pangs. The manager was kind enough to hurry it out of the kitchen after hearing how famished we were. 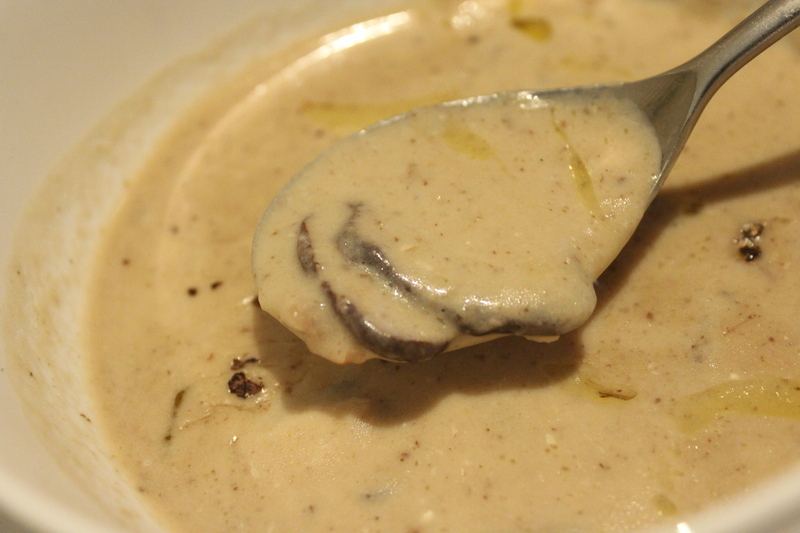 This is the best cream of mushroom I have had by far. 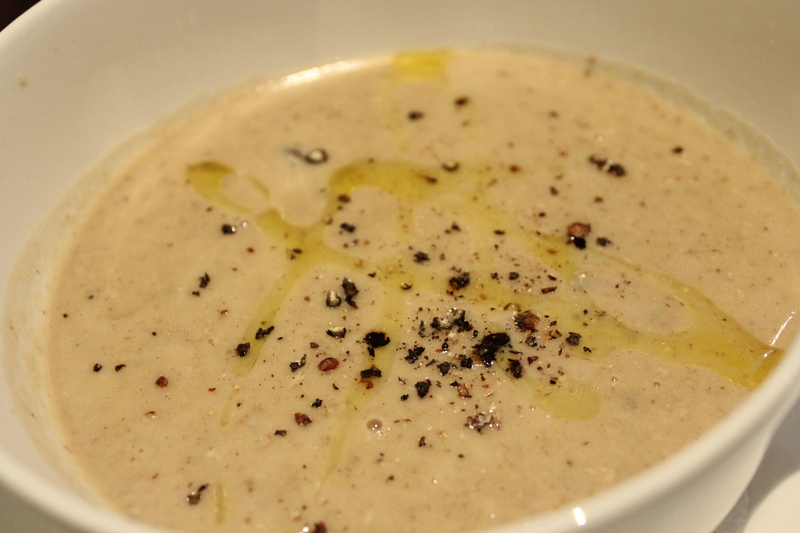 The Zuppa Fungi ($12) was creamy and every spoonful was generously studded with tiny mushroom bits. Mum and I were pleasantly surprised to find slices of porcini mushrooms as we spooned deeper. The woody aromas from the mushroom was satisfying to say the least. If only we didn’t wolf down our bread so quickly! This would have made a great accompaniment. I wanted to order this at first but they ran out of scallops for the Tangliolini Nero ($26) and had to replace it with prawns which I was allergic to. Going by how fast mum finished her pasta and how clean the plate was at the end, it must have been really good. I’m always game to try something different. 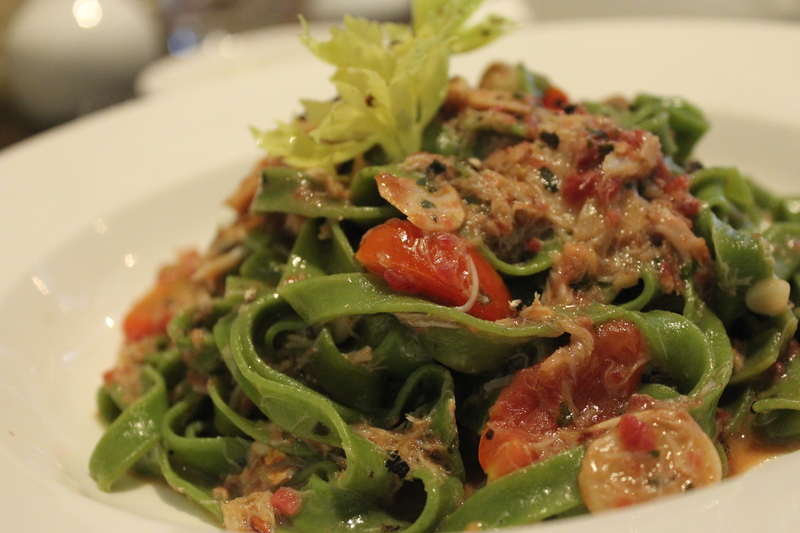 How could I resist the thought of spinach tagliatelle with black olives, crabmeat and cherry tomatoes? The base was a little salty beacuase of the black olives but it was bearable. I loved the taste that the black olives imparted into the dish and it reminded me of the olive bonbon from La Maison du Chocolat( aah, sweet memories). The chunks of crab meat and slices of cherry tomatoes added the sweet dimension without which would have made the base unbalanced and overwhelmingly salty. The taste of spinach was evident as I twirled more pasta in each forkful, delicious. This is a must-try if you have never eaten pasta flavored with vegetables before! Before I go on, I must say that the hand-made pasta here was done al dente. 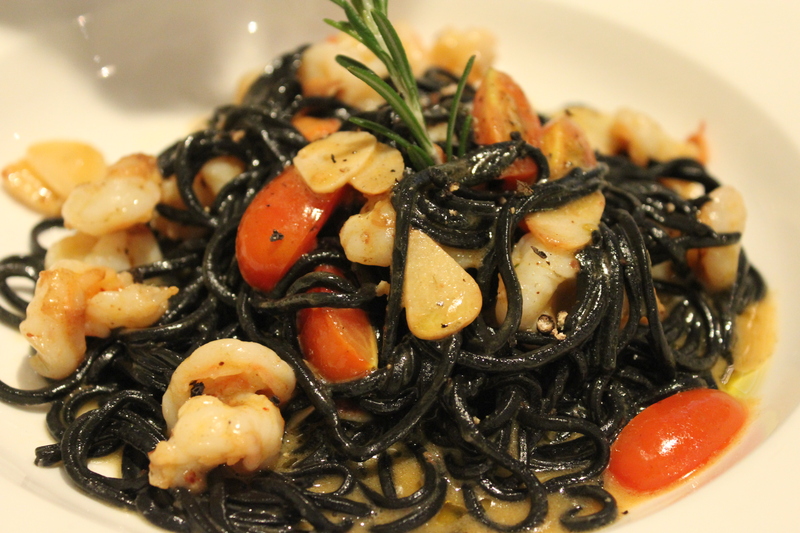 We all know that ‘al dente’ is really just a label, everyone’s definition differs in some way. I find Cugini’s handmade pasta a little undercooked but here, they do it just the way I like it. 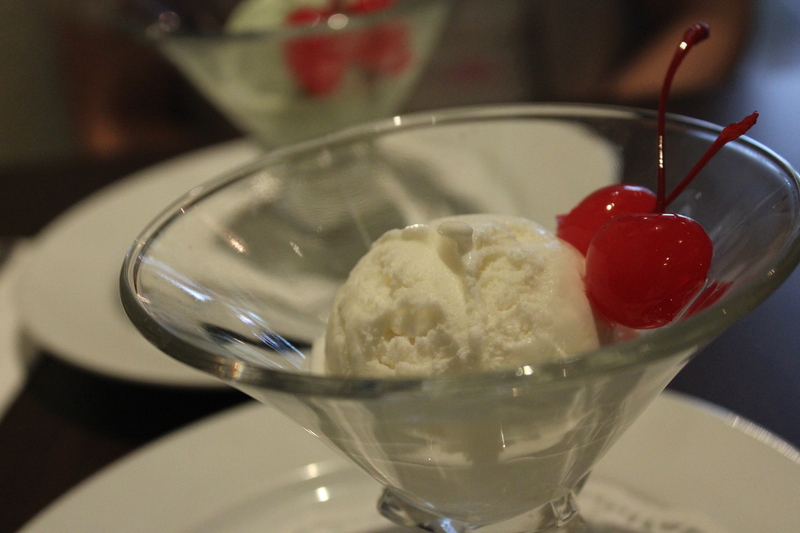 What’s the difference between ice-cream and gelato? 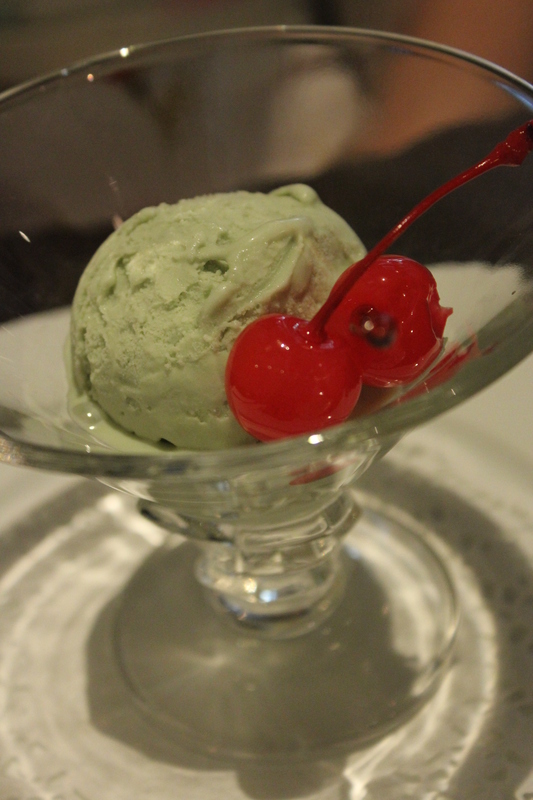 I remember saying that the pistachio gelato tasted weird previously and I still stick to that judgement. But tastes are clearly subjective as mum enjoyed it a lot. 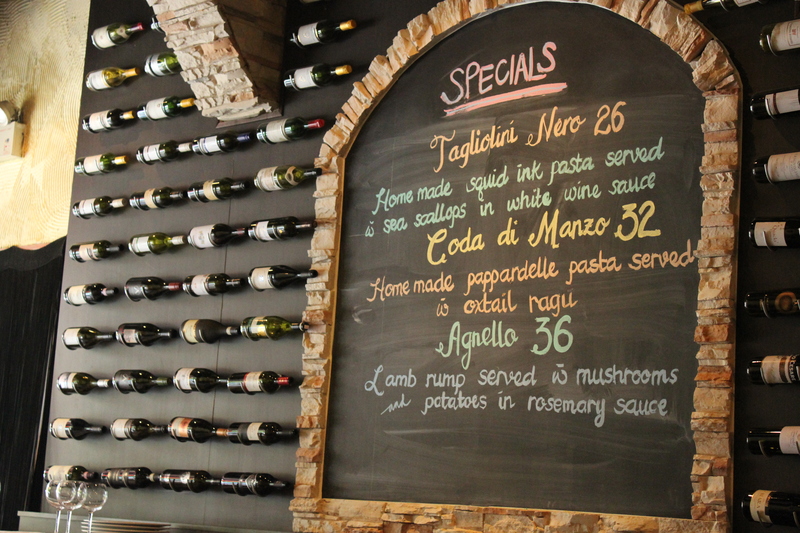 It was yet another satisfying meal in Trattoria L’Ancora. 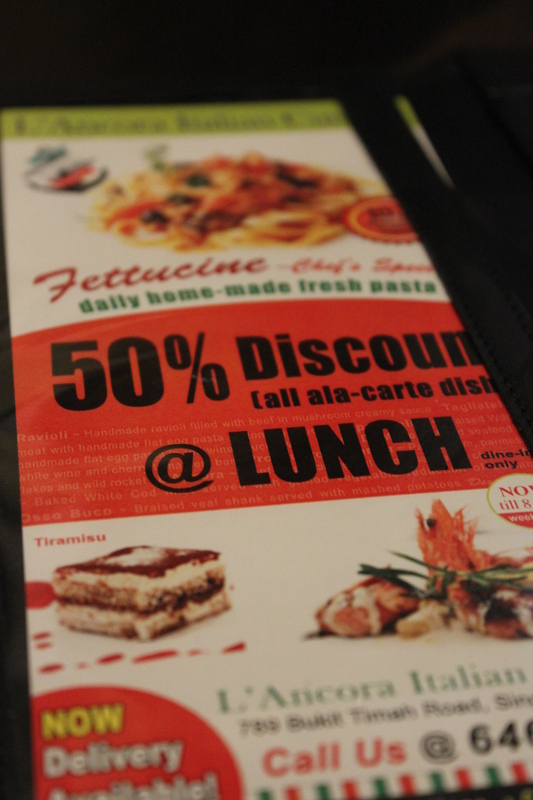 If you are around the area during lunch do pop by for a home-made pasta fix because the restaurant is having a 50% off all ala-carte orders on weekdays!